Do I need a Will if I’m a new Mom? Naming a guardian could be the most important part of your will. Name an executor you trust. Named beneficiaries on your financial accounts may override the will. A will is not always the right document for your goals. In the absence of clearly stated intentions, the state steps in. Providing for your baby’s long-term welfare may start with just a simple will, but to be fully protected, you probably need more. That’s why it’s important to talk with a competent estate planning attorney to make sure you have the right plans in place to fulfill your goals. We’re here to help! 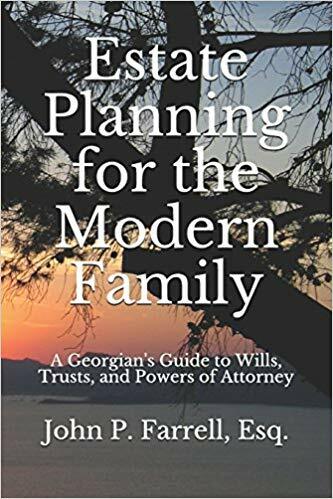 Contact us today at (678) 809-4922 or get our book, Estate Planning for the Modern Family, to talk about your options to protect your new baby. Previous Previous post: How does the Court get involved with my estate? Next Next post: Where should I keep my original estate planning documents?